Gameguru Mania :: View topic - How to convert DVD to video for Mac with DVD Ripper for Mac? 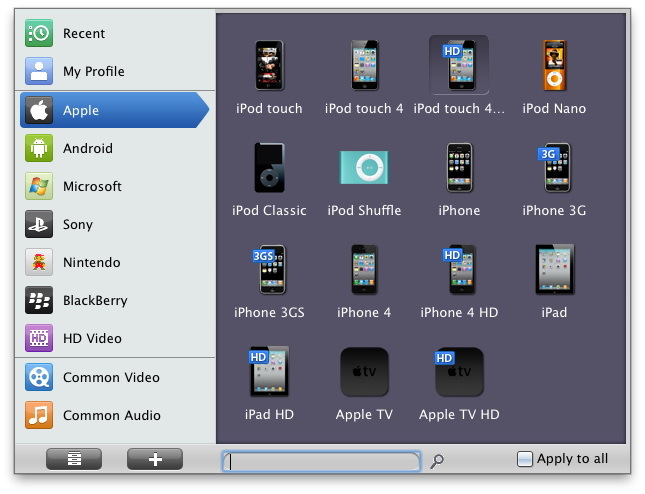 Posted: Tue Mar 23, 2010 5:17 am Post subject: How to convert DVD to video for Mac with DVD Ripper for Mac? For Mac users who want to rip any DVD to any popular video audio formats for purposes of watching on PMPs, video edit, online share, etc., Leawo Mac DVD Ripper is exactly what you are looking for. With support of up to 100 video audio formats and profiles to popular devices, you can tackle any video conversion tasks at hand easy and fast. In addition, you can edit video in video effect, video duration, video screen size and watermark application with Leawo DVD Ripper for Mac. Download Leawo Mac DVD Ripper from here.This guide will give you a picture of the software's functions. Launch Leawo DVD Ripper Mac. The home interface is divided into four parts: Menu Stripe, Standby List, Built-in Player and Conversion Control. Click "Add" and select the DVD-ROM drive with DVD disc inserted. You can also navigate to the VIDEO_TS folder and import the IFO files. Then on the standby list appears the breakdown of the DVD movie in titles and chapters. You can continue to add a second DVD movie if you have multiple DVD-ROM drive. In this step, you can choose DVD subtitle, audio and angle, make a selection of titles and chapters to be ripped, as well as to play the DVD movie in the built-in player. 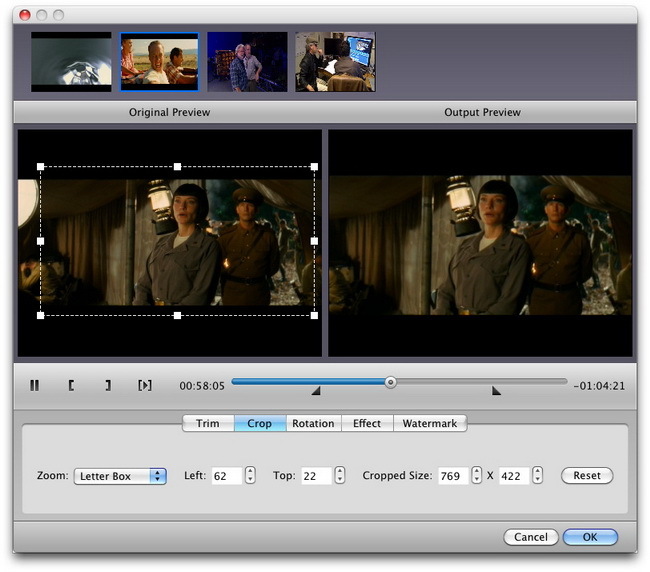 Leawo Mac DVD Ripper lowers the bar for conversion by providing comprehensive high quality presets, which can be found in the Profile dropdown box. Given specific demands, Leawo Mac DVD Ripper prepares a detailed switch box of codec parameters related to each profile. Advanced users can set Bit Rate, Frame Rate, Aspect Ratio, etc. here. Custom settings can be saved to a user profile for later use. 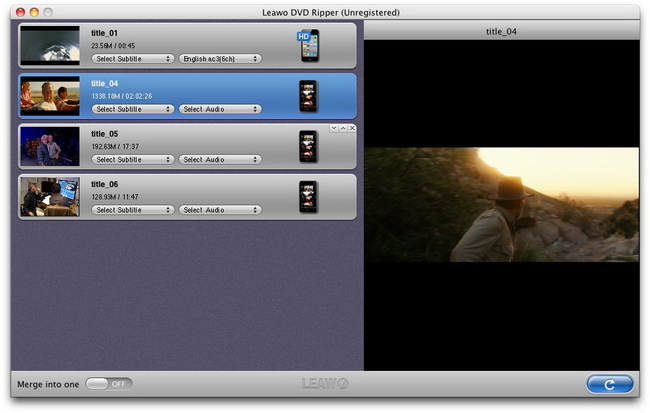 Leawo Mac DVD Ripper also features easy home video edit. Select a title or chapter and click Edit on the Menu Stripe to call out video edit window. Click Crop to crop the video frame and change its aspect ratio appearance. Click Trim to split the video or get a segment from the video. Click Effect to change Brightness, Contrast and Saturation. Click Watermark to create either image watermark or text watermark for the video. Return to the home interface and click Convert to start conversion.